Have you ever wanted to live somewhere else? Where? Uhm, yes. I have lived in Idaho, Washington, California, Montana, Oregon, Nevada and Hawaii (Oahu). I currently live in Friday Harbor, WA and I hope to never move again! Have you caught someone in a lie recently? No. I like to visit fond memories from time to time, but I like my life here and now. What have you had to wait for? Innumerable things. These days I am most often waiting for my significant other …. Have you met my ex? Have you ever been in a physical fight with another person? Yep. Several. Generally when everything but the crying is over I am quite surprised and the only one in the room still standing and/or not cowering in a corner. They say I’m not pretty when I’m mad. Luckily it has been years since I’ve done that. Have you ever tried marijuana or another illegal drug? Have you done something on the spur of the moment that worked out fine? Many, many, many things — especially if there is adventure to be had! What do you need besides your significant other tonight? Right now, nothing. Half the Pacific Ocean is between my love and I, and I just want him to come home! What is the worst thing you have forgiven someone for? What are 6 things you love or are crazy about? Jesus, Amoeba, my family, my camera, San Juan Island, and blogging. Have you ever been a loser? Divorced. I filed, but that doesn’t mean I won. What is the shadiest advice you have ever been told? Artist next week: SIMON & GARFUNKEL! Want to play? Go visit: Rock ‘n Roll Friday! I LOL @ your pot story Quilly! I think my ex made me a bit of a sucker as well! I wish I’d thought of that “no one will know” advice. You have snow yet in WA? Have a great weekend! Kathy — we’re in Western Washington — actually on an island in Puget Sound. The snow has come and gone. I hope it remains gone. Thanks for stopping by Quilly. #7, LOL. That’s one heck of a way to get caught. #12, I think it depends on what’s at stake. Sure, Mom didn’t get any money from dad other the child support, which he tried to fight. But we didn’t have to deal too much with him anymore. So it was a good thing. Have a wonderful weekend! Shawnna — there is no winning in ending a marriage. Dreams have been mangled and murdered. Hearts have been broken. That doesn’t mean I wasn’t much better off after the divorce, especially emotionally. Glad to see you are playing. Loved your story about pot. Sorry to hear about the sadness in your life. Harriet — in the long run there was a lot more good in my life than bad. As for the bad, What doesn’t kill you makes you stronger. Good choice. I really liked Tom Petty. Been awhile since I listened to him. My favorite song was Free Fallen. 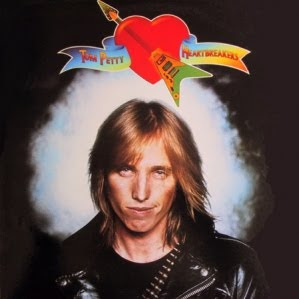 Stacie — I don’t believe I ever bought a Tom Petty album, but I seem to know most of his songs. Re #1: Sounds like you’re always living somewhere else. Re # 11: Glad I’m not the only one who included their camera. Eric — #1 — adventure calls. And #11 — my camera is my second best friend! I’d love to live next to Lake Wenatchee or Fish Lake, but I’m pretty sure I’ll never be able to afford it. And your story about #7 made me laugh because of your sister’s final comment! I’ve suspected it would just make me sick (the smell makes me feel sick) so I’ve never wanted to find out the truth. True story. Karen — I think this would be a meme you’d love. It plays every Friday. Join us!